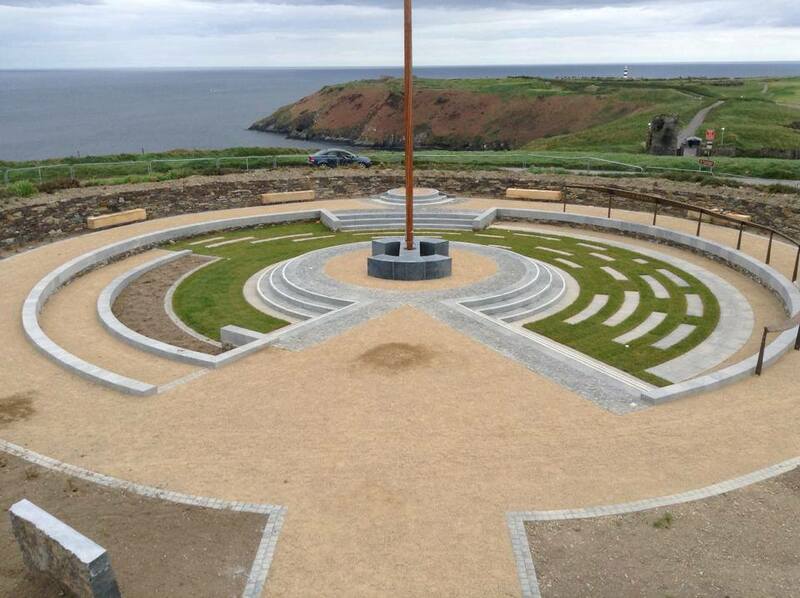 This Sunday 7th May, on the 102nd anniversary of the sinking of the RMS Lusitania, a new memorial garden and sculpture will be unveiled at Old Kinsale Head in Cork. On the 7th of May 1915 the Lusitania was nearing the end of what would be her final voyage from New York to Liverpool. She carried 1,267 passengers, some of whom were famous and wealthy socialites, as well as a crew of 693. About 11 miles off the Old Head of Kinsale the Lusitania crossed paths with the German submarine U-20. The commanding officer Walther Schwieger gave the orders and a single torpedo was all it took. It struck on the starboard bow, alongside one of the cargo holds and moments later a second explosion erupted from within the hull. 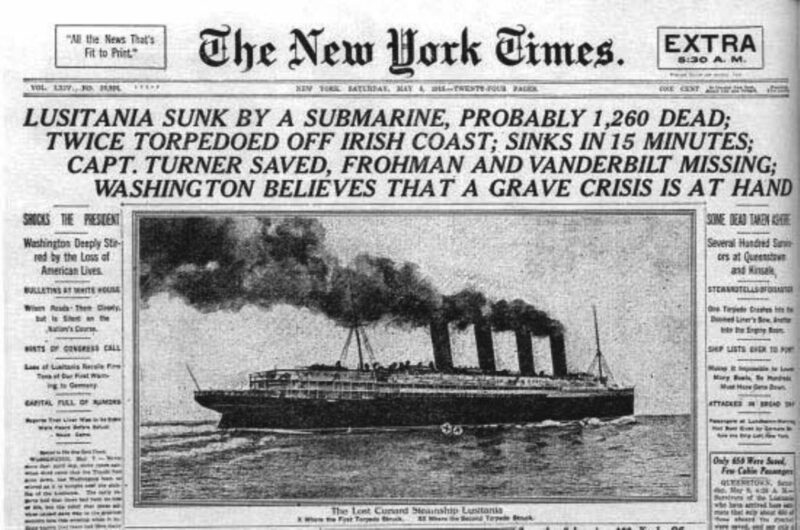 The ship began to list steeply and within 18 minutes the Lusitania was gone. Of the 1960 on board only 767 survived, and four of whom died over the following months. A lasting tribute to the memory of this event is to be unveiled at Old Kinsale Head in Cork this Sunday. The Lusitania Memorial Garden is the second phase of a project to commemorate the lives lost in this tragic incident. The first phase was the successful restoration of the Signal Tower and the towers flag and ball signalling system. Back in 2015 a dedicated Lusitania museum opened in the newly restored Signal Tower. At the centre piece of the garden is ‘The Wave’ a beautiful 20m long bronze sculpture by Liam Lavery and Eithne Ring that tells the tragic story of the Lusitania from its journey from New York up until its final moments and lists all the names of those on board. Members of the public are invited to the opening of the new Memorial Garden on Sunday 7th May. The ceremony starts at 2pm sharp and the garden and after the Signal Tower will be open and free to the public.